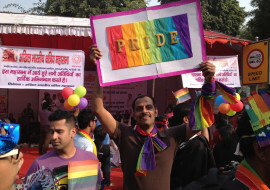 "Homo Hetero Bhai Bhai" rang one slogan at the Queer Pride assembled at Barakhamba Road on Sunday. Happy Birthday to us!!! 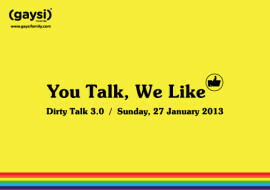 Yes, yes, we turn FOUR years old! Bangalore's queer pride celebrations will include a workshop by performance artist and scholar Kareem Khubchandani that explores the memories, maps, and marks of the body. Five photography projects on the theme of TABOO. Curated by Indu Antony and Sandeep Mahajan. Taboo is the forbidden, the illegitimate desire. First day of practice will decide who's in and who's out. No coming late, no slacking off and definitely no sitting down. 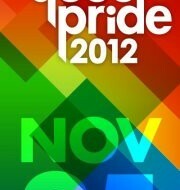 The Bangalore Queer Pride is proud to present to you the 2012 Pride Mela. This year we are coming back more colourful, louder and awesomer than ever! 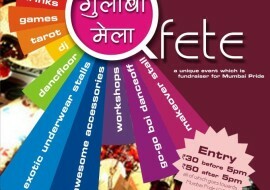 Delhi Queer Pride is five this year! 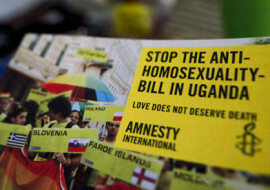 We invite members and supporters of the queer community. 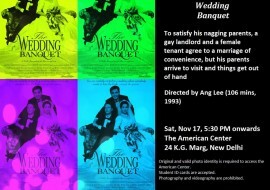 Gallery Engendered Space and Abadi Art Space proudly announce Queering Making: A two-part exhibition that queers the lens of memory and lived experiences. Bring the wittiest, funniest, most relevant and compelling slogans you can think of, and join us to put 'em on paper. 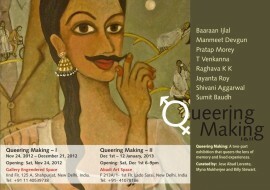 Lets get set to paint the town queer! I VIEW WORLD provides a new lens to view human rights, gender and sexuality, through world cinema’s ever changing landscape of desires, intimacies & sensualities. My best friends find it hard to believe that I have never been in a relationship long enough to even call it that – a relationship. They’ve always told me that I’m a catch.